A great weekend activating St Catherine's Lighthouse on the Isle of Wight. 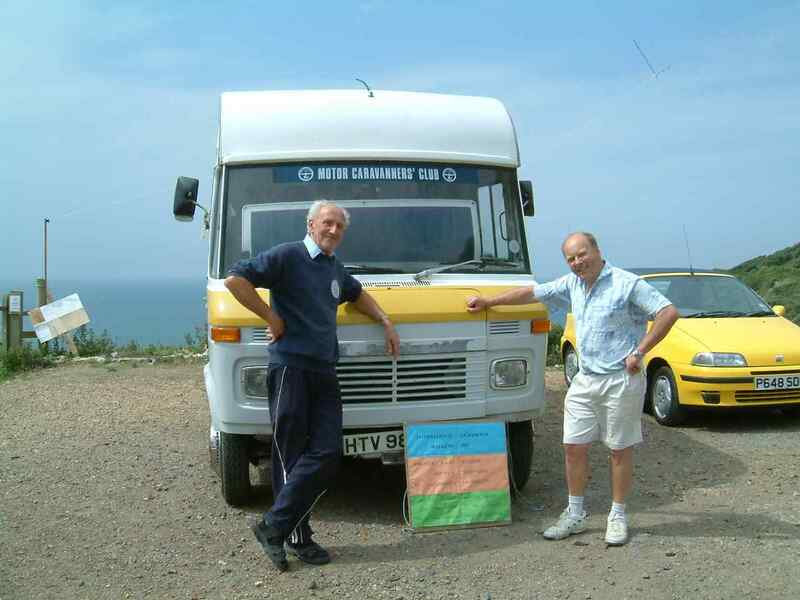 We operated from Brian's van using his Icom 706 Mk IIG running about 100 watts into an antenna made for the occasion. I wanted to maximise our signal strength to beat the inevitable QRM on 40m and avoid having to tune an ASTU when we changed bands. We decided to stick to 40, 20 and 15 metres - the most likely bands to be open. We did not want to erect a beam, but we hoped for some good DX. The solution was a pair of parallel inverted V dipoles for 40m and 20m. The 40m dipole gave us a 2:1 VSWR on 15m (one and a half wavelengths) which the Icom seemed happy to work. The centre mast was 27 feet high. Power was supplied by batteries. We worked 39 countries amongst our 538 contacts, operating during daylight hours only on the Saturday and Sunday. Reports were all good, especially on 40m where, apart from occasional QSB, reports received were always 59 and often 59+20dB. Comments regarding our signal strength were very encouraging - we were often informed by UK stations that our signal was extremely good. So guess what antenna we'll use next year? We had some DX on 15m working Brazil, USA, Iceland, Cape Verde Islands, Namibia, Israel, Ecuador and Lebanon so we seemed to get out in most directions. QSL cards have been sent to all stations worked via the RSGB Bureau except in one case where a direct QSL was requested. The card shows a photograph of St Catherine's Lighthouse on the Isle of Wight and gives a little information about it. For those interested a little more information follows. 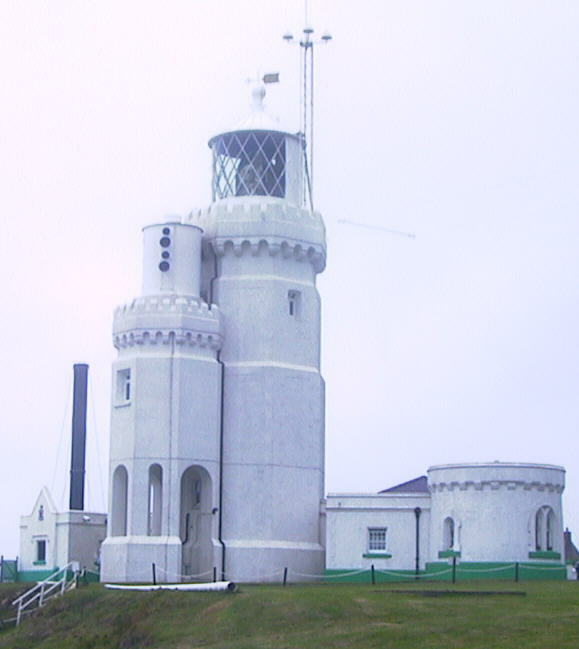 The present tower was constructed in 1838 following the loss of the sailing ship Clarendon on rocks near the site of the present lighthouse, but the elevation of the light proved to be too high as the lantern frequently became mist capped. So in 1875 it was decided to lower the light 13 metres. The fog signal house was originally situated near the edge of the cliff but owing to erosion and cliff settlements it became necessary to move it. In 1932 a lower tower was attached to the front of the lighthouse and built as a small replica to house the horn. Local inhabitants call it "The Cow and the Calf". The fog signal was discontinued in 1987. 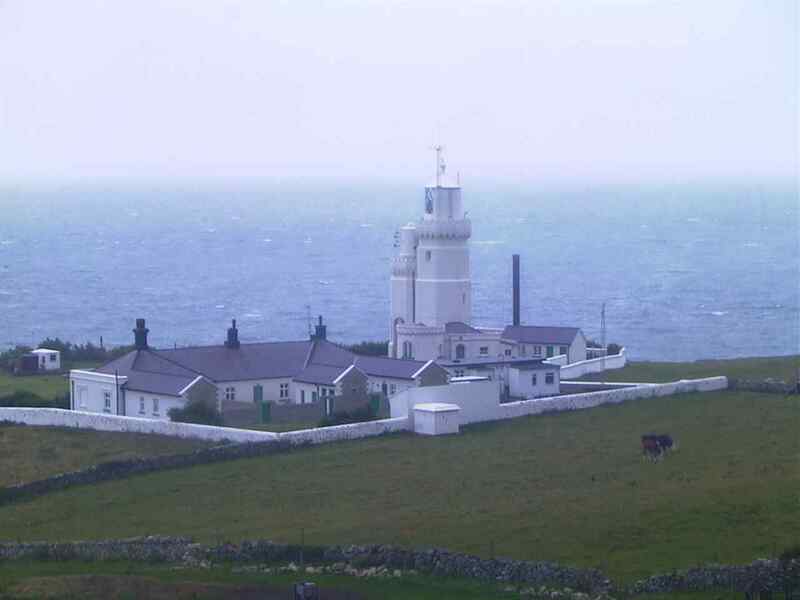 St Catherine's Lighthouse was automated in 1997 and is now also a reporting station for the Meteorological Office and has a Differential Global Positioning System (DGPS) - one of six such reference stations maintained by Trinity House which give overlapping coverage of up to 50 sea miles around the coast. If you need to 'tune up' your rig to work a station, please bear in mind that on a busy band and using high power you are almost certainly going to block out a station and prevent it from operating. You do not need more than a tiny amount of power to tune up. Our station was blocked for long periods because of operators tuning nearby. You really need to be at least 3kHz away from any station to avoid being heard. With so many stations anxious to work lighthouse stations it was frustrating to say the least - and especially for M3 and other QRP stations (who we should be encouraging on air). This year's Lighthouse Weekend seemed to us more popular than ever, which meant there was an even greater need to work stations efficiently. You all responded magnificently to our requests to keep QSOs short so that we could move on down the list quickly. Thanks for the great sense of cooperation which helps to foster good relations amongst radio amateurs and make this and other events enjoyable for everyone. We had a great time.